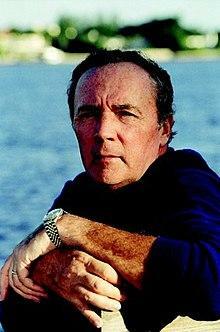 James Patterson has written more than 200 books, and launched programs to encourage kids to read. Tom's guest for the hour is James Patterson, the phenomenally prolific American author who has written more than 200 books for adults, young adults and children. One of his latest thrillers is a best-seller published last summer that he co-wrote with former President Bill Clinton titled The President Is Missing. James Patterson is a passionate literary activist who promotes reading by people of all ages, and a philanthropist who has backed his activism with millions of dollars in grants and scholarships to support reading programs in schools, universities and libraries across the country. A few years ago he launched ReadKiddoRead, an online platform to promote reading by young people. Kid Stew, a public television series he created to encourage kids to read and explore creative outlets, will be rolling into its second season in May 2019. Maryland Public Television will air a Kid Stew Marathon of its first season this Saturday morning, from 6:30-8:30am.